My name is Angel Acevedo and I was born and raised right here in the Panhandle. I am from the farming community of Adrian, TX, who’s claim to fame is being the midpoint of the famous Route 66. 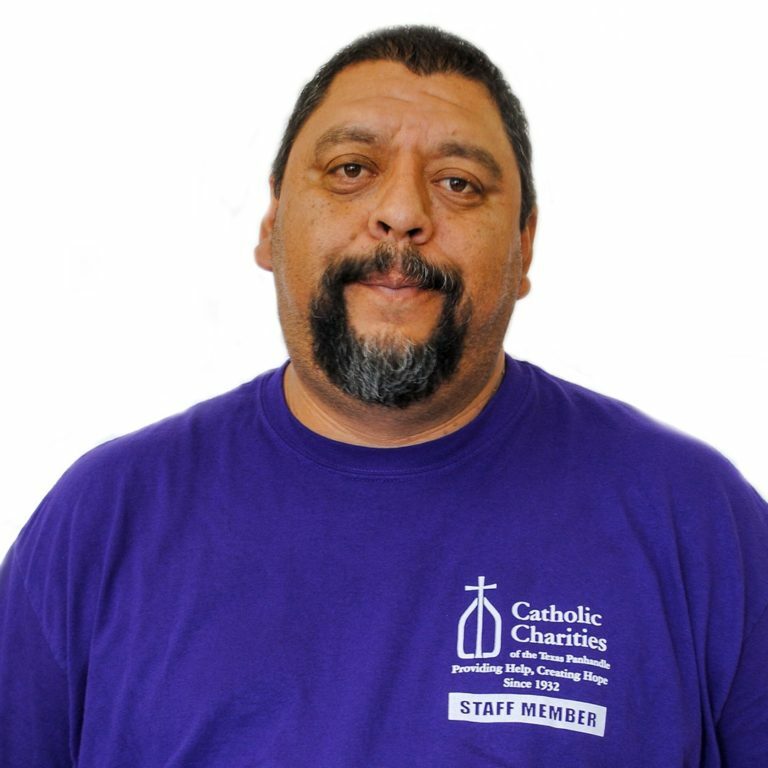 I have worked for Catholic Charities of the Texas Panhandle/Catholic Family Service, Inc. for over 22 years; the first fourteen years as supervisor of the S.O.S. Youth Activity Center, and the last eight as Transportation Coordinator for Refugee Resettlement Services. As a Christian, I believe it is God’s will to be of service to others before yourself. This agency has allowed me to work with at-risk and underprivileged youth, and refugee families who have been driven away from their homes. For 86 years, Catholic Charities of the Texas Panhandle has served the needs of this community. I am simply grateful and proud to be a part of that.